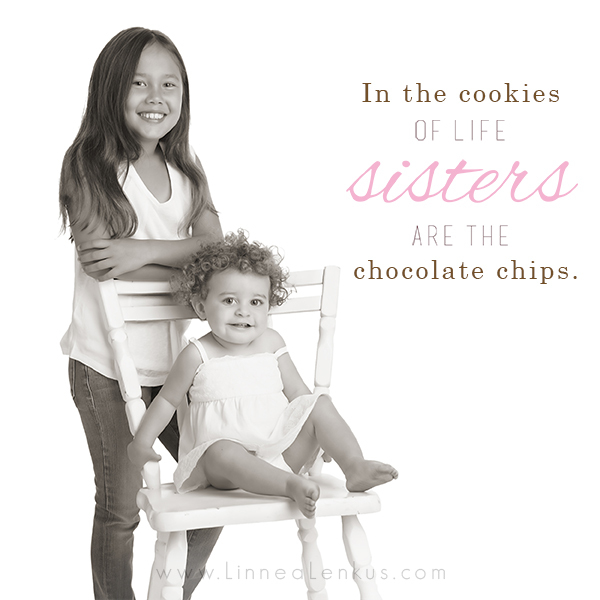 There is no bond like that of a sibling and the connection between sisters is truly special! Did you like this Sisters Saying Sibling Meme? For even more inspirational sister quotes and sisters sayings and many more inspirational quotes about all of the sweet things in life such as family, life, love, laughter and children set to the timeless photography of Linnea Lenkus, please click on the links to the right to motivate and inspire you! See a collection of Linnea’s beautiful fine art portrait photography on her website. If you enjoyed this Sisters Saying Sibling Meme you will love this Inspirational Saying about Brothers. Feel free to share whichever inspirational quotes that make you smile!